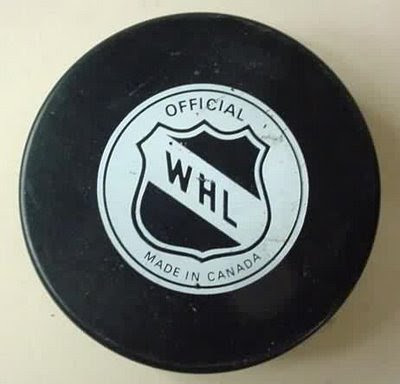 As we first reported Tuesday night on The Pipeline Show (at the end of the Byron Froese interview) and again Thursday on Global Sports in Edmonton, the Western Hockey League will play a game outdoors. The only question is when? 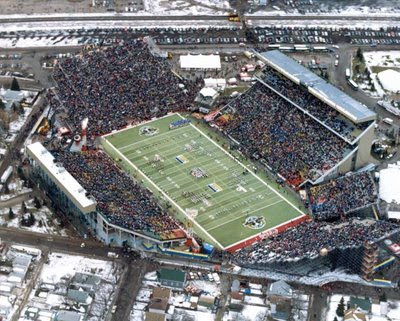 A WHL General Manager told me today the original plan was to have the Pats and Blades play at Taylor Field December 19th. It was hoped it would the first of a double header followed by a Canada-Sweden WJC pre tournament game, as the U-20 event is being held in Regina/Saskatoon this year. I interviewed Commissioner Ron Robison during the draft today for Global Television. He told me other cities are interested, but Regina makes a lot of sense. 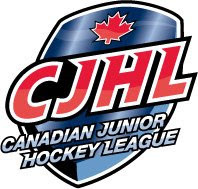 You might see the league hold off for this year but plan a double header in 2010-11 between Regina/Moose Jaw and Saskatoon/Prince Albert, along with a WHL alumni game. I think this would be great, and holding it in Saskatchewan is a terrific idea. I spoke to quite a few General Managers and scouts today with a few suggestions about some changes I would make to the WHL. Some wanted to remain anonymous, others spoke openly. Below are my ideas, and the responses I received. 1. Limit each team to only two 16 year olds. I was told this year that two kids from Edmonton were sent back by their respective junior teams, but it was to late for them to be carded by midget or junior A teams. I won't name the kids because they didn't ask to be in this blog and I won't name their junior teams either. The WHL does have a 40 game requirement for each player, but there's nothing to stop a team from dressing a 16 year old in 40 games and playing him a total of 40 minutes all season. Some rookies are exceptional. Mark Pysyk in Edmonton, Brett Connolly in Prince George and Jordan Weal in Regina. But how many teams have more than one really good 16 year olds. How many 16 year olds would be better off playing a bigger role with a midget or junior A club? Only one person I spoke to today was in favour of this. Lethbridge G.M. 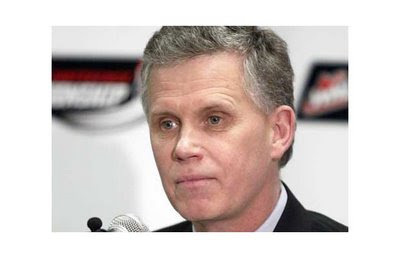 Roy Stasiuk quoted Terry Simpson to me that "the WHL isn't a glorified midget league." He added that teams have to think about young players emotional stability even if they seem physically able to play. Wade Klippenstein will soon be announced as the Prince George Cougars new head scout. Wade and I go back a while to his Dauphin days and I trust him to give me the solid goods. Klipper said the rebuilding process in PG this year forced them to play 4 - 16 year olds, and it worked pretty well for Brett Connolly. "The important thing is committing to these young kids and following through with ice time." It's a good point, if every team does it. The commish Ron Robison told TPS Tuesday night "the rate at which these young players are maturing at today is really remarkable, and many of these young players are ahead of schedule both physically and so forth." Another G.M. said "we have to get back alley recruiting out of our game. Our responsibility is to reach their goals, not ours" When pressed on the "back alley recruiting" comment, he replied that instead of running down NCAA programs, why not build up the CHL game and show the merits of the Canadian game. 2. Changes to the import/20 year old numbers. I would still keep the total at 5, but let the teams decide which combination works for them as long as they have one each. If a club wants 4 Euros - and can find 4 quality imports that are willing to come over - then let them, then they can have one overager. Or the other way around, 4 -20 year olds and one import or 3 and 2 of whichever combination works for them. This is a system that might not work in the OHL where it's widely speculated that teams buy European players and even those previously committed to NCAA programs. One G.M. said he was overseas at a tournament and OHL team officials "made no bones about how they attract players" meaning backing up a zamboni full of money to entice players. Brent Parker of the Regina Pats said he was pretty sure this doesn't happen in the WHL. He likes the idea of 4 - 20 year olds because "a lot of them are character guys on most teams." The Hurricanes Roy Stasiuk also likes 4- 20 year olds and even brought it up at a league meeting recently. He's not crazy about adding more than 2 imports as "the pool might not be deep enough." If the league was to ever increase the European limit, Stasiuk thinks "having players opt into the draft would have to happen, that way you don't have players picking their teams, or backing out if a club they don't want to play for drafts them." Another team official pointed out that only 2 Europeans were in the top 100 of league scoring this year. Saskatoon's Mylan Kytnar was 43rd, and Bostjan Golicic was 73rd. 3. Setting up a club system with AAA midget and junior A programs. I'm not talking about the Calgary Hitmen moving one of their prospects from Virden, Manitoba to Alberta and putting him on the Calgary Buffaloes. I think teams should have a few clubs in each AAA midget league that they could fill with their prospects. Example, the Oil Kings have a few prospects in Saskatchewan and they could spread them out over a couple of teams they designate as Edmonton club teams. With Junior A players it's a little easier. Each WHL team could have one Junior A team in each league as their adopted team and can send their prospects to that club. Obviously some teams will have to double up, so if team A has to share in the AJHL, they wouldn't have to in another league. This way it's a feeder system and prospects learn to play with each other. The most common response was not wanting to move AAA midget players, which I agree with and the plan would take some work. Another response about Junior A leagues was, "to many Junior A operators think they are better than our league....the relationship has to get better." It has, but it's still a little icy. So there you go, if I was commish for a day I would put these into place. Am I out to lunch? You tell me? Lots of rumour out here in BC that the Giants offered Turris big money to give up his NCAA eligibility to play there. Rumour was into six figures. The 16 year old dilemma is real. But to limit them to 2 will hurt some and help other players. 2 or 3years ago the Hurricanes I think had 4 or 5 sixteen year olds and they got a lot of ice time. (King Boychuk et all) But this past year being an older team the 16's got very limited playing time once we got the whole team together about 1/2 of the way through the year. They probably would have been better off geting 20 minutes a game in the AJHL or one of the other provinces leagues. It is interesting that Klippenstein would comment about ice time of 16 year olds. Connoly was the only 16 year old that played in Prince George last year. The other 3 just sat on the bench. Even when the cougars were getting blown out they sat.